Beer Floaties, Floaters and Snowflakes, Oh My! If you’ve never seen “floaties” in bottled beer, that’s typically a good thing. 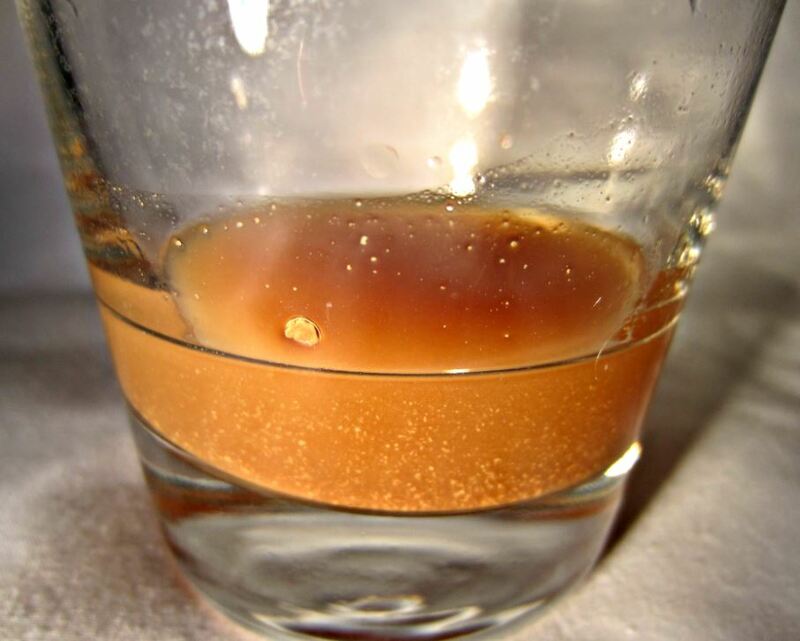 Floaties (also known as floaters or “snowflakes”) are small chunks of coagulated protein that have fallen out of the solution of the liquid beer as a result of aging, and are often (but not always) darker in color in darker colored beers. To be clear, floaties are not the same thing as yeast sediment which is normal in bottle-conditioned beers of any age. Yeast tends to be smooth and dense and gives beer a cloudy hazy appearance when aggressively disturbed as when rolling a bottle of bottle-conditioned Hefeweizen or swirling the bottle during the pour. Floaties, on the other hand, are approximately bread crumb-sized clumps of protein and if present are easily disturbed like the white particles (“snowflakes”) inside a snow globe. Even some beers that are appropriate for aging like Gueuze and Flanders Red may likely develop floaties over time. Floaties don’t taste like much of anything (bland grain mush/soggy white bread crumb), but if serving an aged beer with floaties, the floaties can sometimes be left behind in the bottle if poured carefully. When purchasing beer, remember that floaties are a sign of aged beer, and if floaties are visible when held to the light in a bottled beer that is not intended for aging, the beer should probably be avoided, especially if the beer is beyond a year of the bottling date, or if there is no bottling date at all. That said, some fresh unfiltered IPAs (particularly dry-hopped versions) may contain elevated levels of “chill haze particles” due to increased polyphenols from the hops that bond to malt-derived protein and beta glucan, which can be exacerbated if the beer is not properly “cold crashed” or chilled prior to filtration. Such special cases are separate from age-related floaties that appear in beers that have been sitting on the shelves beyond their best-by date. To be clear, it’s highly unlikely that old beer causes any sort of health risk to humans, but most beer is beyond its prime after a year, and even less for most hop-forward styles of beer. Again, if no packaging date or “best by” date is present on a beer that contains floaties and was not intended for aging like some sour beers and high ABV brews, it is best to avoid purchasing that beer as a general rule of thumb. Lastly, just because a beer is old does not mean it will contain floaties. 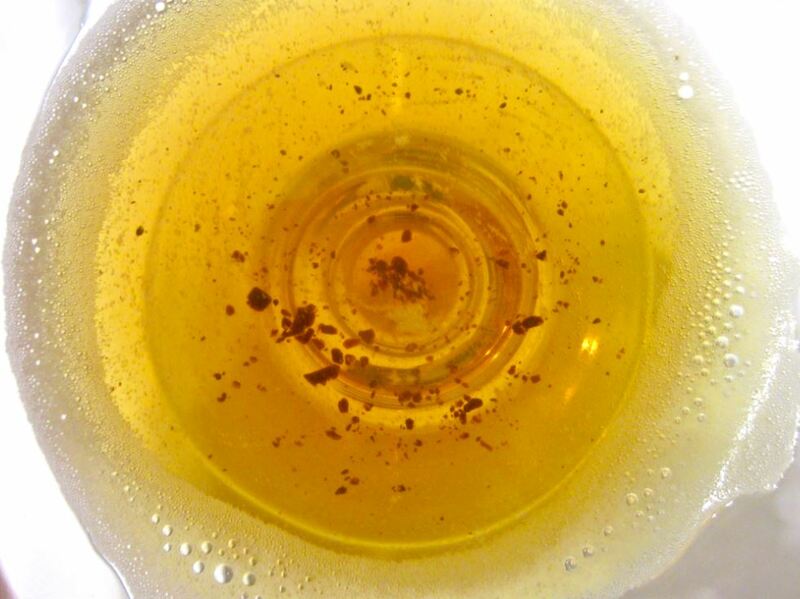 For example, no floaties were visible in a 12-year-old bottle of bottle-conditioned lager. Related Article: Beer Syndicate Reviews Decade-Old African Beer Forgotten in a Hot Garage. What beer should I stock up on for when the Four Horsemen of the Apocalypse come riding into town? In response, BeerSyndicate sampled a selection of seven-year-old canned beer to determine which ones held up the best in preparation for prolonged life in a vault. By the way, the concept of the “Doomsday Clock” was originally created by former Manhattan Project physicists in 1947 and has been maintained ever since by the Bulletin of the Atomic Scientists with past contributors including the likes of Albert Einstein and J. Robert Oppenheimer to name a few. The clock itself is the symbolic analogy for a human-caused global catastrophe with “midnight” representing the end of civilization. As of January 2017, the clock is 2 ½ minutes to midnight. Look, you got lucky with Y2K. You dodged a bullet in 2012 with the Aztec calendar thingy. Any day now, the Large Hadron Collider might do us in with an accidentally spawned Earth-swallowing black hole, assuming a Homo-(sapien)-phobic A.I. doesn’t pull the plug on us first. 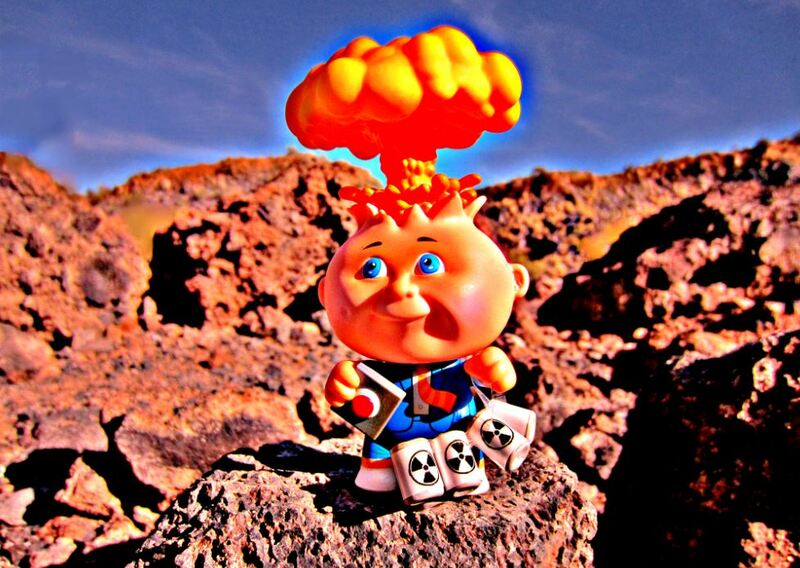 And of course it’s only a matter of time before we hit DEFCON 1 with North Korea, Iran or New Jersey. The bottom line is that sooner or later, your luck is gonna run out. But BeerSyndicate’s got your back. At least when it comes to picking a beer that will survive the first seven years of the nuclear winter. For this review, we reached back into the depths of the beer fridge and pulled out three beers that time forgot. Three beers that somehow rather remarkably held up seven years past their bottling date. What’s even more surprising is that none of the beers in question are particularly well-suited for aging unlike a cellar-friendly Gueuze or a big boozy such-and-such. Perhaps it was the refrigeration that slowed the aging process while canning fended off much of the dreaded effects of beer-degrading oxygen and light. 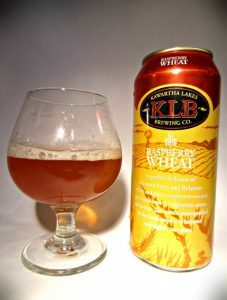 Or maybe the traditional low hopping rates of the beer styles sampled actually helped with the perceived preservation of the beers since hop character and bitterness are typically the first things to fade. As hop character diminishes, the perceived sweetness of a beer increases conversely. Being as how these beers are only mildly hopped to begin with, not only would any pronounced hop character be inappropriate, any increased perception of sweetness due to hop degradation may actually benefit the beer somewhat. Regardless of how, these beers largely avoided the telltale characteristics of inappropriately aged beer that leave a once crisp balanced brew tasting often like squash, cardboard and sweet apple juice. Full disclosure: Rickard’s White is not a craft beer. It’s brewed by Molson Coors of Canada, and according to Molson, the recipe is based on the American-made Blue Moon recipe, but uses different ingredients. 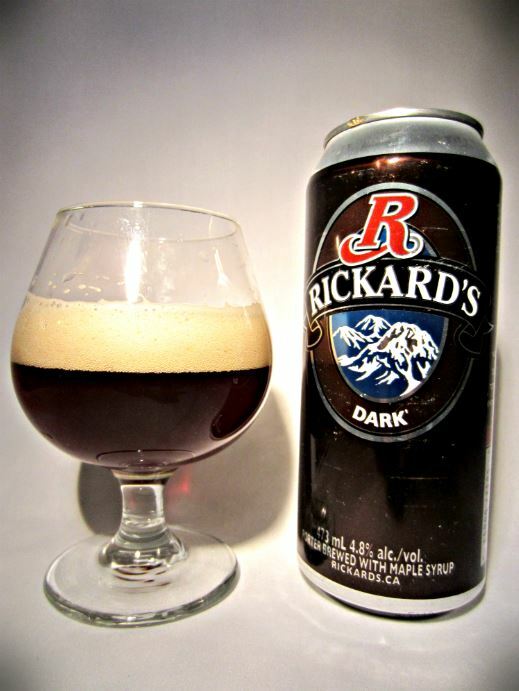 Unlike Blue Moon however, Molson makes no attempt to hide the fact that Rickard’s White is not craft (the Molson brand is displayed right on the can plain for the world to see). Also displayed on the can is the bottling date code of “F260” (translation “Feb. 26, 2010”), which according to Molson marks the start of the beer’s 110-day lifespan. Needless to say, this beer has exceeded that 110-day window by a bit. In any case, “ageability” likely has nothing to do with whether a given beer is marco or micro brewed, not that you’d be terribly picky in a post-apocalyptic wasteland. The Gist: While we can’t tell you how well a Blue Moon might fare after seven years in the can, we can tell you that Rickard’s White was surprisingly still identifiable as a Witbier— lightly fruity with pleasant notes of coriander in the aroma and flavor. As is, the beer scored a 75/100. 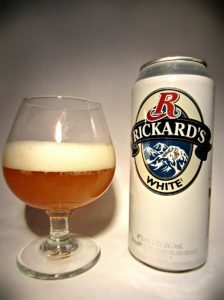 Description: Rickard’s White pours a thick finger of dense fluffy off-white head that dissipates in about 30 seconds, revealing a hazy golden honey colored body with a fair amount of the expected age-derived “floaties”. Yes, even after all these years, trace amounts of lovely coriander are still detectable in the aroma especially as the beer warms. Other aromatics include guava, blueberry yogurt, Juicy Fruit gum, papaya, Apple Jacks and ‘Asian honeydew snow smoothie‘ with the only aged character being that of spent tea bag. Flavor-wise, subtle coriander is cut with a citrus tang, Sprite, a hint of guava, light malt, baking powder and alcohol. Medium carbonation, medium-low body. The beer finishes with an aftertaste of mild seltzer water and a touch of popsicle stick. What are “floaties”? 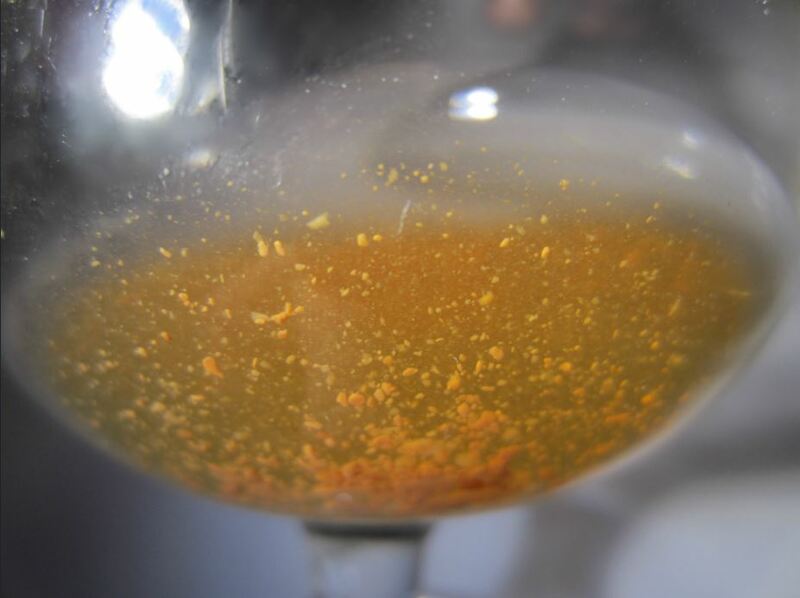 Floaties (also known as floaters or “snowflakes”) are little chunks of coagulated protein that have fallen out of the solution of the liquid beer as a result of aging, and are typically darker in color in darker colored beers. Floaties can develop and become noticeable in as little as two years depending on the particular beer style and storage conditions (floaties will appear sooner in unrefrigerated beer). Beer “floaties”, floaters or snowflakes. To be clear (no pun intended), floaties are not the same thing as yeast sediment which is normal in bottle-conditioned beers of any age. 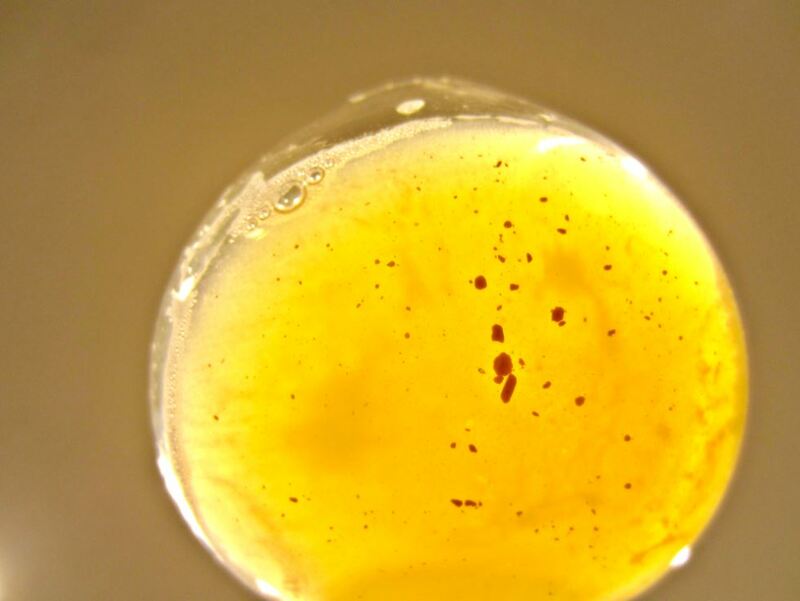 Yeast tends to be smooth and dense and gives beer a cloudy appearance when aggressively disturbed as when rolling a bottle of bottle-conditioned Hefeweizen or swirling the bottle during the pour. Floaties, on the other hand, are bread crumb-sized clumps of protein and if present are easily disturbed like the white particles (“snowflakes”) in a snow globe. Even beers that are appropriate for aging like Gueuze and Flanders Red will very likely develop floaties over time. Floaties don’t taste like much of anything and are fine to drink, but can sometimes be left behind in the bottle if poured carefully. The Gist: A mild flavored 4.8% ABV dark ale with subtle notes of coco powder and walnuts balanced by a light tanginess. 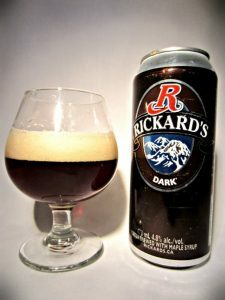 Description: A self-described English Porter brewed with maple syrup, Rickard’s Dark pours a nearly clear brown with garnet highlights and develops a finger of dense tan head that slowly fades over 30 seconds leaving some lace behind in the glass. The aroma is an interesting mix of raisin, coco powder, dried malt and slightly under-baked wheat bread with hints of balsamic vinegar, tamarind, faint alcohol, dried cranberry, brown sugar, chocolate wafer cookie, walnut, watery coffee, dry autumn leaves and spent Lipton tea bag. The flavor is mild-mannered and relatively clean with notes of light coco powder, walnut shell, and dusty stick with a medium-low sweetness balanced by a light tanginess, finishing with elements of dry stick and grape skin. Medium carbonation, medium-low body. Score: 75/100. Thus concludes Beer Syndicate’s Bunker Beer Review. So the next time you’re out stocking up on Nuka-Cola, RadAway, and Blamco Mac & Cheese, remember to pick up a 100 pack of any of these canned beers to help get you through the nuclear winter season.